COMMENT: Once again, there are so many things that one could meditate on today. The Passion is a rich and inexhaustible source of meditation for us. It has converted many souls and formed great saints. St Teresa of Avila, for instance, lead a relatively mediocre religious life until one day she reflected on an image of Jesus being scourged at the pillar and was deeply transformed by the experience. The cry of Jesus on the Cross, “I thirst” (Jn 19: 28), expressing the depth of God’s longing for man, penetrated Mother Teresa’s soul and found fertile soil in her heart. Satiating Jesus’ thirst for love and for souls in union with Mary, the Mother of Jesus, had become the sole aim of Mother Teresa’s existence and the inner force that drew her out of herself and made her “run in haste” across the globe to labour for the salvation and the sanctification of the poorest of the poor. He thirsts for us, for our love, for our souls and for all the souls we ought to be bringing to him, along the way of the Cross which is the way to immortality and heavenly glory. What you did, Lord, was crazy; it was as if someone, having drunk the water of an entire river, claimed to be still thirsty. So surprising and marvellous is your desire to suffer for love of us. Besides this corporal thirst, Jesus suffers from another spiritual species of thirst, which cannot be so easily assuaged. Jesus thirsts for our eternal salvation, He thirsts for souls. This is the thirst of which he complains, and which is consuming His very life’s Blood. Jesus most passionately desires that the Blood He has shed should benefit mankind by saving them from Hell; and yet He foreknows that there will be many eternally lost, notwithstanding all His love and all His sufferings. Oh, truly does this thirst consume the loving Heart of Jesus, and its sacred heat slowly but surely deprives Him of life! I…once more had an opportunity of a quiet prayer before the life-size crucifix in the church which I love so much. I could not remain at His feet but climbed up until both arms were around His neck. The Figure seemed almost to live, and I think I loved Him then, for it was borne in upon me how abandoned and suffering and broken-hearted He was. It seemed to console Him when I kissed His eyes and pallid cheeks and swollen lips, and as I clung to Him, I knew He had won the victory, and I gave Him all He asked. Perhaps today we may find this outpouring of love to be a bit excessive. 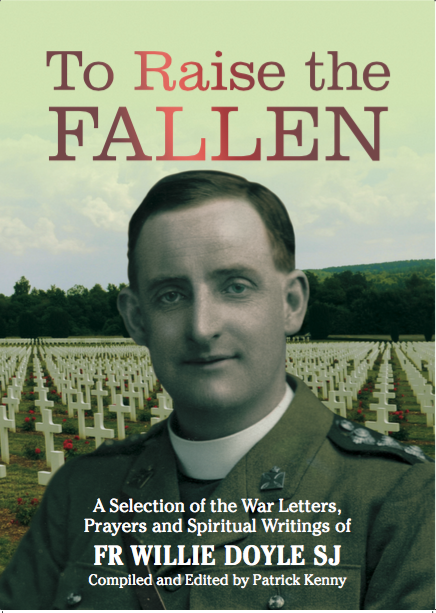 But then again, Fr Doyle was called to an excessive love; to that greatest of loves which involves laying down one’s life for others. In this, he imitated his Master to the very end. Pain and privation are only momentary, they quickly pass and become even delightfully sweet, if only borne in the spirit with which many of my grand boys take these things: ‘Sure, Father, it’s not worth talking about; after all, is it not well to have some little thing to suffer for God and His Blessed Mother?’ But the craven fear which at times clutches the heart, the involuntary shrinking and dread of human nature at danger and even death, are things which cannot be expressed in words. An officer, who had gone through a good deal himself, said to me recently: ‘I never realized before what our Lord must have suffered in the Garden of Gethsemane when He began to fear and grow sorrowful.’ Yet His grace is always there to help one when most needed. Yet the fear of our Lord in the Garden is one of the richest sources of meditation precisely because almost everyone can identify somewhat with Jesus’ acute mental anguish. As Fr Doyle tells us, sometimes fear and dread are so great that it cannot be fully expressed in words. 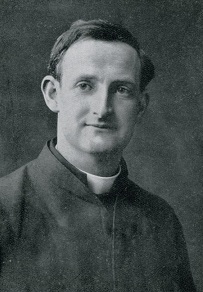 In fact, sometimes fear is so devastating that it is even worse than the very thing (pain, loneliness, death…) that made us frightened in the first place..
Fr Doyle tells us that when we experience such fear Jesus is there by our side to help us. 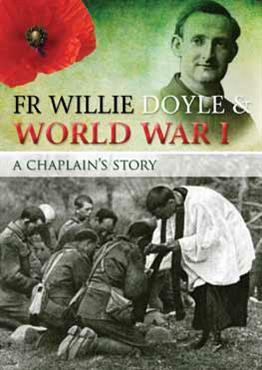 Fr Doyle should know – his diaries reveal the many times when he had to hide in a hole and shook with fear under heavy shelling during his years as a military chaplain. Yet, with God’s grace, he always overcame his deeply felt fear, and went on to encourage the soldiers who were faltering. It seems that Christ is making use of His own agony to speak to those who find themselves in such a situation. Be brave, He seems to say…Do not give up hope…You are terrified and depressed, worn down by exhaustion and the dread of torture. Be confident, I have overcome the world and yet I was much more afraid and appalled…Look how I go before you along this path that is beset with so many fears. Take hold of the edge of my cloak and you will feel flowing from it the power that will not allow your heart’s blood to be contaminated with useless fears and anxiety. The Jesuit spiritual writer Archbishop Alban Goodier also comments on the transformation that overcomes Our Lord after His agony in the garden. What a transformation takes place after this third prayer! 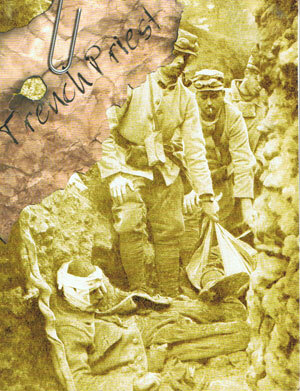 To the end of the Passion, no matter what men may do to Him, we shall never see Him falter or broken anymore. Always henceforth He is Master. He has strength for Himself, except such as many depend on His poor worn body, and He has strength for everyone about Him…We look on amazed; we wonder whether we have understood aright; and yet around us we see the same illustrated in those who seek their own support in prayer. May we too, through prayer, transform our anxieties and worries into confidence and strength. I think He would like you to pay more attention to little things, looking on nothing as small, if connected with His service and worship. Also try to remember that nothing is too small to offer to Him — that is, the tiniest act of self-conquest is of immense value in His eyes, and even lifting one’s eyes as an act of love brings great grace. 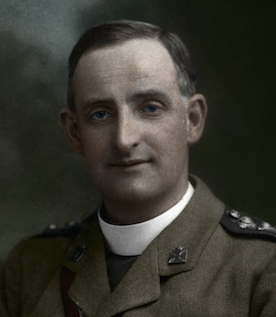 COMMENT: Despite the fact that Fr Doyle lived a very dramatic life that involved many big sacrifices, he consistently preached that holiness is normally to be found in little things. 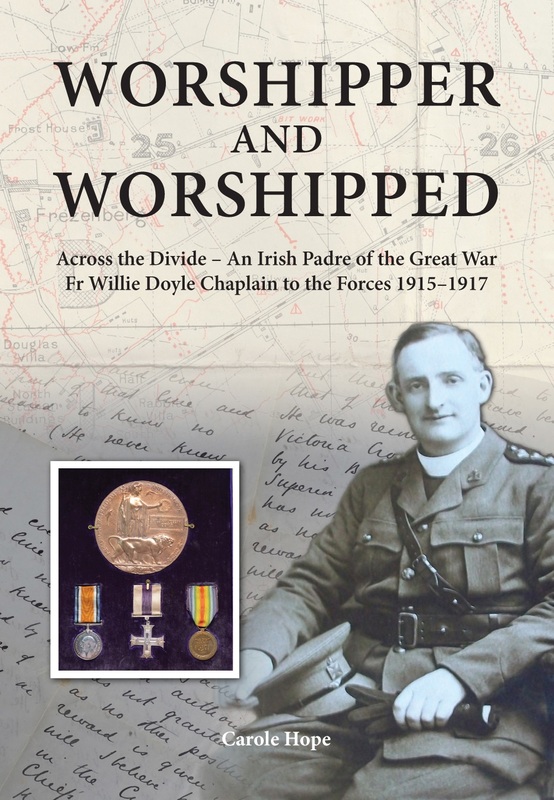 In fact, without having strived for holiness in little things, it is doubtful that Fr Doyle would have been capable of his heroism in the trenches. At first glance, it seems that reflecting on little things during this most momentous Holy Week is a bit a strange. But today’s Gospel contains a subtle reference to the value of little sacrifices and offerings. Given the drama of the Passion, it is easy to miss it. Go ye into the city to a certain man and say to him: The master says, My time is near at hand. With thee I make the pasch with my disciples. And the disciples did as Jesus appointed to them: and they prepared the pasch. Who was this “certain man” who provided the room for the Last Supper? We do not know. He is not named. An old tradition suggests that the room was owned by the mother of St Mark. In any event, the owner did an important service for our Lord by providing the room for the Last Supper. What an honour it would be to have provided the room for the Last Supper! This unknown owner of the room provided a humble service to Jesus. He obviously knew Jesus and was ready to serve Him however he was asked. Yet he remains unknown to us. This is the secret of holiness in little things – providing humble and unknown service, without seeking any attention or fame. As Fr Doyle tells us, nothing is too small to offer to Him. 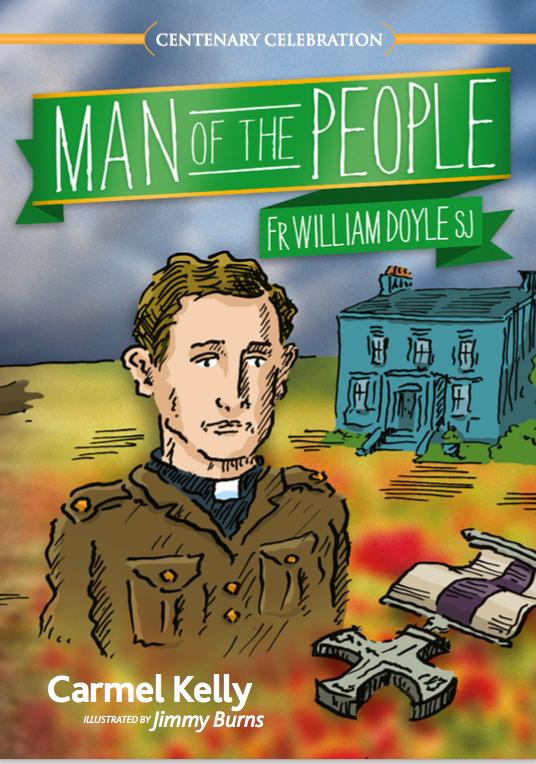 In conclusion it might be appropriate today to include Fr Doyle’s “parable” of the hermit and the “recording angel”. He included this little parable in one of his very last letters home to his father, and it tells us of the value of little things by way of an amusing story.